Hey girls...are you in need to shape up for summer? Or just want to get on a healthier path? I'm working on getting in better shape & one of my goals is to be in the best shape of my life this summer! Are you feeling the same way? I have a Facebook challenge group that will start up next week and I'm looking for 5 ladies to join! If you are serious about a lifestyle change, I can help you get there! 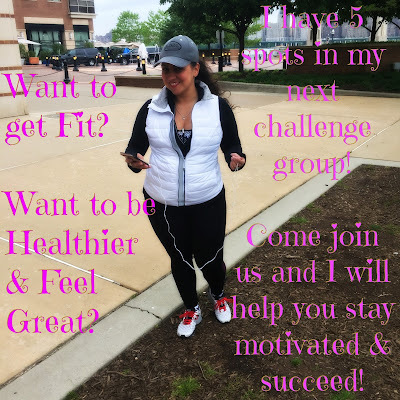 And ME as your coach to help you achieve your health & fitness goals!! So, if you are interested, please comment below and we'll chat! !